The US Powerball lottery has announced that there will be changes in the lottery rules, which will be implemented early October and effective starting the US Powerball draw on October 7. The new Powerball rules are sure to receive a warm welcome from the lovers of big jackpots – they are especially created to give players more chances to win more prizes, but at the same time it will become harder to haul in the Powerball jackpot prize. 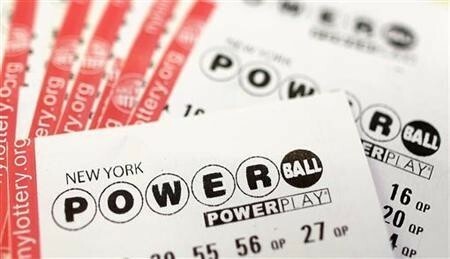 Needless to say expectations for a $1 BILLION US Powerball jackpot are growing among US Powerball’s worldwide following! The implementation of the new US Powerball rules, this October, will have several expected results: fewer jackpot winners for one, but when the jackpot does fall, it is likely to be a whole lot bigger than the jackpot sizes previously reached. Expectations are sky-high. Big question is of course if the US Powerball lottery will finally manage to cross that almost magical and much desired $1 billion jackpot amount – what a glorious moment that will be! The main goal of this change of rules is twofold: creating bigger jackpots and increasing players odds of winning secondary Powerball prizes. And these odds are indeed growing – and drastically, too! Currently, you stand a 1 in 32 chance to win any of the available Powerball prizes. Starting October 7, your chances to win a prize in the US Powerball lottery will increase to 1 in 25! 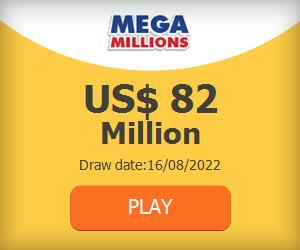 While the overall winning odds increase, chances of an individual player to win the US Powerball jackpot will equal 1 in 292,201,338 in the new situation (which is a considerable smaller chance than the current winning odds, but more in line with odds of winning the Mega Millions jackpot), while odds of winning the second place prize ($1 million) will be 1 in 11.7 million. If you happen to win the third prize in the US Powerball lottery, you receive the amount of $10,000. Of course, you can raise this amount by using the Power Play multiplying option, but the default amount is the said $10,000. After the introduction of the new rules, US Powerball third prize winners will win a more than decent $50,000! That is a 400% increase! The third prize goes to those players that match four main numbers and the additional Powerball number, and history has taught us that there are many prize winners in this particular category! Currently, players pick their lucky numbers from two separate guess ranges: one of 59 numbers from which they pick the five main numbers, and a second one from 35 numbers which serves as the basis for choosing the Powerball number. After the rule changes in October, the main numbers will be picked from a 69 numbers range, whilst the Powerball number will come from a smaller set of numbers, ranging from 1 to 26. What’s the current Powerball Jackpot Status? Ha, you didn’t think we’d forget to mention the fact that the Powerball jackpot rolled over for a fourth time in a row last night, to land at a very attractive $80 million score! The winning numbers of last night’s draw were as follows: 3, 13, 17, 42, 52 and Powerball number 24. Power Play number was 4, so secondary prize winners (except for the second prize winners) quadrupled their wins if they played with the Power Play option activated. There were three second place prize winners, two of which (from Iowa and New Jersey) took home $1 million. The third winner did choose to use the Power Play option and thus doubled his prize amount to $2 million, which he will take home to Louisiana! Congratulations to all winners!